In looking for a centrifuge ideal for genomics applications, the 3700 model is the clear choice. The 3700 provides genomics experiments, such as DNA or RNA purification, with the perfect solution to spin micro tubes over 20,000xg. The multi fixed angle rotor, AF-2724, accepts 2, 0.5 and 0.2mL PCR tubes. The AF-2536 rotor accepts both 2 and 0.5mL tubes. In choosing a centrifuge that is capable of accepting medium size tubes as well as micro tubes at high speed, the 3700 model is the best choice. The 3700 accepts the 48-piece fixed angle rotor for 2mL micro-tubes and for 50/15mL conical （culture） tubes. If ease-of-use for repetitive work is a priority, look no further than the 3700 model. The 3700 is equipped with the memory flashing function and five memory channels. The memory flashing function allows storage of the operating time automatically and recall repeatedly. In addition, five memory settings save energy and time for routine work. · Light fixed angle rotor allows 9-sec. acceleration on the 3700 model. · The AF-2724 accepts three types of tubes, such as 2, 0.5, and 0.2mL PCR tubes, without adapter. · The AF-2730 accepts three types of tubes, such as 2, 0.5, and 0.2mL PCR tubes, without adapter. · The AF-2236 allows using two types of tubes, 2 and 0.2mL tubes, without adapter. The MF-2036, multi rotor for micro tubes, provides reasonable solution to apply various types and sizes of tubes only by changing buckets. · This bucket accepts 8 PCR-strips, 0.4, 0.5, 2mL tubes. * This combination of the picture is for reference only. Set the same bucket at the four places. 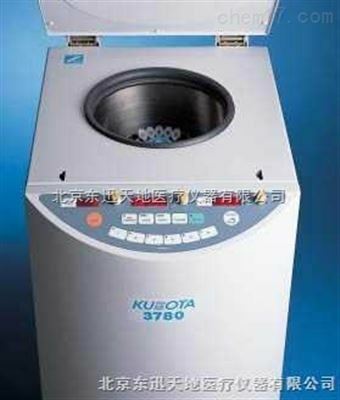 · Kubota's newly designed high-speed rotors enable centrifugation of conical tubes over 20,000xg without causing cracks or neck bending. · The AF-5004CS is certified with the CAMR standard, improving the safety of researchers against biohazards. · The AF-5004R rotor accepts a sealing adapter （Code no. 055-4280）. refer to the instruction manual of each rotor.